[UPDATE] The event is now fully booked. If you are on the waiting list, we encourage you to sign up for our next Meet a bat night, in early November – please follow the link below for more information. Blue Mountains Bat Night later this month! Flying-fox Reserve, Gordon by the re-establishment of the natural bushland habitat. to encourage the management of this colony and its environment in such a manner that the interests of the species and the neighbouring residents are both considered. the protection by law of this species and other bat species (Order Chiroptera). to encourage research into the Megachiroptera, their biology and importance in the natural ecology of Australia and their effect on commercial fruit crops. to encourage the conservation of other bat species wherever their habitat. 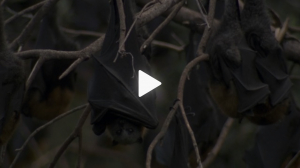 to educate the community on the biology and ecological roles of bats in Australia. Nectar and fruit feeding bats are vital to forest regeneration as pollinators and dispersers of rainforest seeds. 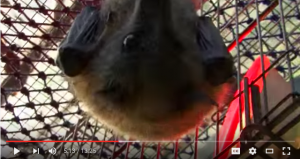 Insect-eating bats play an important role in the natural control of insect population. Documentary: Winner of the Best Film Award at the 2014 Cause Film Festival featuring Sarah Curran (deputy chair of KBCS). 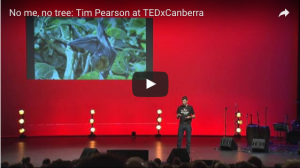 Tim Pearson, wildlife ecologist (and KBCS chairman) speaks on behalf of Bats to an appreciative audience in Canberra. News feature filmed for Globo TV in Brazil about at Centennial Park camp, Gordon camp, and the Australia Walkabout Wildlife Park at Calga. 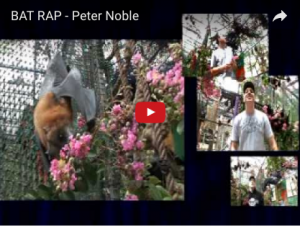 Peter Noble’s entertaining musical Bat Rap with a powerful message. A non-profit community organisation working for the conservation of all bat species, especially the grey-headed flying-fox. The continued work of KBCS Inc. relies funding from government grants and public donations. Pleasure and satisfaction are expressed by all who have contributed to restoring flying-fox habitat in Ku-ring-gai Flying-fox Reserve. Take a refreshing break each week and join our friendly Bushcare team on Tuesday mornings. For more information visit Habitat Restoration Project.